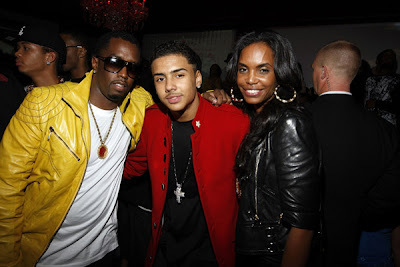 P.Diddy & Kim Porter host son Quincy Stunna 16 birthday bash…. Hurricane Chris, Crime Mobb, Rev. Run, Bow Wow, Omarion, Chris Brown, Jermaine Dupri , Dallas Austin, Fabo,Gorilla Zoe, Daniel “Diggy” Simmons , Lauren London, Diddy and Kim Porter, Kyle (That’s so Raven), children of Big Boi, Gerald Levert’ SON , his brothers Christian and Justin Combs and many more surprises.